Available from 2018-10-01. Charming Bachelor/Studio for $1420.00 a month in Toronto In every city, there are neighbourhoods associated with a lifestyle that includes a vibrant atmosphere, shopping, and dining. 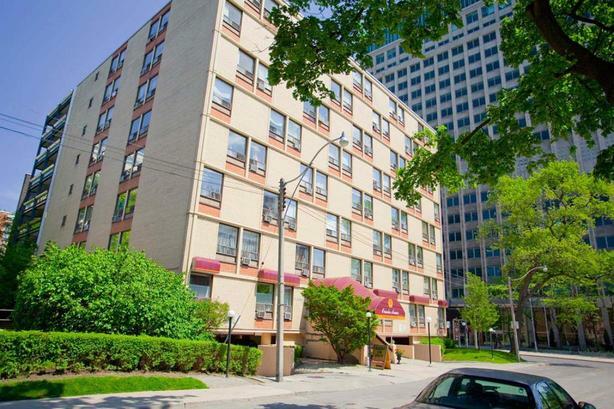 These apartments for rent in Toronto are situated in a quiet upscale neighbourhood at Yonge & St.Clair. With an excellent Walk Score of 89 and Transit Score of 86 Oriole Apartments is walking distance to the shops and restaurants at Yonge and St. Clair. This is a good place to call home.Water includedHeat includedElectricity not includedWalk Score of 8910-minutes to downtown Toronto Transit Score of 86: 5 minute walk to Yonge & St.Clair subway station20-minute drive to 401 / Gardiner Expressway / 404 Small park like setting between buildings Located in a residential neighbourhoodGrocery shopping in the area: St. Clair Centre, Sobeys, Bruno's Fine FoodsMany schools in the areaFinancial Institutions: ScotiaBank, CIBC, TD Canada Trust, Royal BankDog FriendlyCat FriendlyParkingLaundry FacilitiesElevatorOpen, comfortable living areas, large closets and ready for cable installationMost suites have private balconies High ceilings Beautifully landscaped grounds Above and underground parking Controlled access entry On-site professional and peaceful staff Small park like setting between buildingsDebit and online rental payments available. Contact us at 4169681316 for more information.